Energy Efficiency isn’t about using less energy in the home, its about using energy more wisely. Many people believe that saving energy in the home is the same as being energy efficient and that these terms mean are same, but they are different. Saving energy, also known as energy conservation, is about changing our daily habits and ways that results in the use of less energy. Whereas, “energy efficiency” is the use of technology and appliances that require less energy to perform the same function. When it comes to the energy efficiency of our homes, we are all looking at ways that we can make things less expensive and one of the easiest way to save money is to conserve energy. Energy is much more than just numbers on a utility bill, it’s the foundation of everything we do and there’s always a good reason to cut our energy consumption. It’s good for the environment and it saves you money. There are many things we can do to use less energy by using it wisely. Soaring summer temperatures, severe storms and intense droughts are powerful evidence of the effects of climate change, so the pressure is on to curb our greenhouse gas emissions. The primary energy sources of oil, coal and natural gas occur naturally in the ground, but to be useful to humans, these natural forms of energy need to be extracted and transformed into other secondary forms of energy with the main one being electricity. Electrical energy is the one we use the most in our homes and workplaces because as well as being convenient and easy to use, it also gives us things like warmth, motion and mechanical power. We rely on energy to make our lives comfortable, productive, and enjoyable. The phrase “Energy Efficiency” is often used to describe any sort of energy-saving measure and many homeowners are targeting a range of practical measures to lower their energy usage, from lighting to their homes heating and cooling or HVAC systems. Upgrading this equipment to more energy efficient appliances usually pays off relatively quickly in reduced bills. Too often we think about small but important things such as not leaving the lights on, or trying to stay in control of the water usage, but there is so much more we can do. For example, compact fluorescent light bulbs, (CFLs) are more efficient than traditional incandescent bulbs as they use much less electrical energy to produce the same amount of light output. Similarly, an energy efficient boiler uses less fuel to heat a home to a given temperature than a less efficient model, so to maintain our quality of life, we must use our energy resources more wisely. 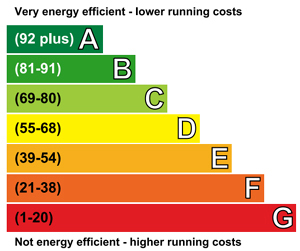 Increasing energy efficiency around the home often costs money up-front but in many cases this capital outlay will be paid back in the form of reduced energy bills within a very short period of time. This makes efficiency improvements in our energy consumption an attractive starting point for reducing our carbon emissions. This will not only have a positive impact on the environment, but also improve our cost savings and overall energy efficiency. So where does that leave you and what can you do to improve your energy situation. Well the average home in the industrialised world today uses about 20 kilo-watt-hours of electricity each and every day. So to cut your energy bills in half, you have to find another way to either save energy or generate an additional 10 kWh of electricity every day from some other free, alternative energy source, or eliminate that amount of usage each day by saving energy, such as switching off lights and unused appliances. Many people are taking energy efficient technologies more seriously. Simple plans are available on the internet showing you how to convert your home to run on DIY wind turbines or solar power. The first question most often asked when starting a DIY conversion project is will one large solar panel or one wind turbine be enough for my needs. But without some basic research of your homes energy consumption there is not enough information to answer that question. So, let us look at this situation and find out what is the most cost effective way to improve your homes efficiency by reducing energy consumption without increasing costs. Firstly, begin by checking how energy efficient your home actually is and apply some of the practical and inexpensive ways to reduce your energy consumption. You conserve energy in the home, by switching off lights or disconnecting phone chargers when not in use. Always switch-off TV’s and game consoles rather than leave them on standby. Exchanging ordinary light bulbs with energy saving LED lights that last up to 50 times longer than normal bulbs, while at the same time using 80% less electricity is a good way to make your home more energy efficient. Saving energy means being resourceful so take actions like insulating and weather-stripping your home around draughty doors and windows. Purchase energy saving products which are Energy Star certified like high efficiency domestic appliances such as washing machines and refrigerators. Simple actions like these is usually the smartest, most economical and most potent environmental action you can take. Not only will it save you money, it will help assure that your children and their children will benefit from the resources that we enjoy, but too often take for granted. It is not easy becoming energy efficient but start by saving energy at home and lowering your utility bills before you focus on installing expensive solar panels or a wind turbine generator on your roof. These cleaner and greener alternative energy sources may provide the electricity we need, but minimizing your energy usage is still the first step to take. Whenever you save energy, not only are you saving money, but you are also reducing the demand for burning fossil fuels like coal, oil, and natural gas. Less burning of fossil fuels also means lower emissions of carbon dioxide (CO2), the primary contributor to global warming, and other pollutants. Home owners have come a long way in their approach to energy efficiency. Most are tackling their energy footprint head on with measures to improve their homes lighting and HVAC systems. Many are going further still by incorporating solar panels and biomass boilers into their homes overall energy strategy of reducing their energy consumption. There are many other ways that you can do to promote Energy Efficiency and save energy in your home. You just have to do them every day to gain the benefits. For more information about “Energy Efficiency” and how to reduce your energy costs in your home, or obtain more energy efficiency facts about the various types of energy efficient appliances available, or to just explore the advantages and disadvantages of saving energy in the home, then Click Here to order your copy from Amazon today about energy efficient homes to find advice, tips, and projects to improve the energy and water efficiency of your home. I have four 24volt panels of the same spec.How can I connect them as 48 volt and get the maximum voc out of them. Energy efficiency means you are using less energy to do the same jobs, reducing your home’s energy waste and saving money. To effectively increase your energy efficiency involves more than just using less energy – it requires you becoming aware of how energy is used, where it’s wasted, and how it can be used more effectively and efficiently in everyday life. With the downfall of world economy, after the global recession, people are more concerned about saving money. Hence the idea of energy efficiency is getting more prominence these days. Have you ever thought about the ways to make your home more energy efficient? If not, you need to get the latest ideas about energy efficiency housing. Energy efficiency housing is highly beneficial for winter and summer equally. There are various factors that help in keeping the house warm in winter and cool in summer. But the energy needed for the heating and cooling of your home is very high. You can make a huge difference in this if you are using energy efficiency methods for your housing. You can make your home energy efficient by increasing your home insulations, making properly sealed windows, doors and vents. These will help in balancing the heat. Your home should have properly sealed thermal windows too. Make sure that you don’t maintain the units that have lost their seal, as they will reduce the heat gain/loss, spoiling your efforts to build energy efficiency housing. Houses should have proper ventilations with heat recovery systems with friendly heat exchangers that help in transferring the warmth between the inner and outer air. Proper ventilation also helps in preventing the formation of molds and mildew, which are often formed in places with high humidity. You can also make a creative use of your window coverings and maintaining the heat according to the season. Another useful method is to have good landscaping. You can have deciduous trees which can help you by giving shade for the sunny areas of your home in the summer and providing sunlight and heat into your home in the winter time.